As age continues to addle my aging brain I have to confess that I get this rose and the last I posted confused. 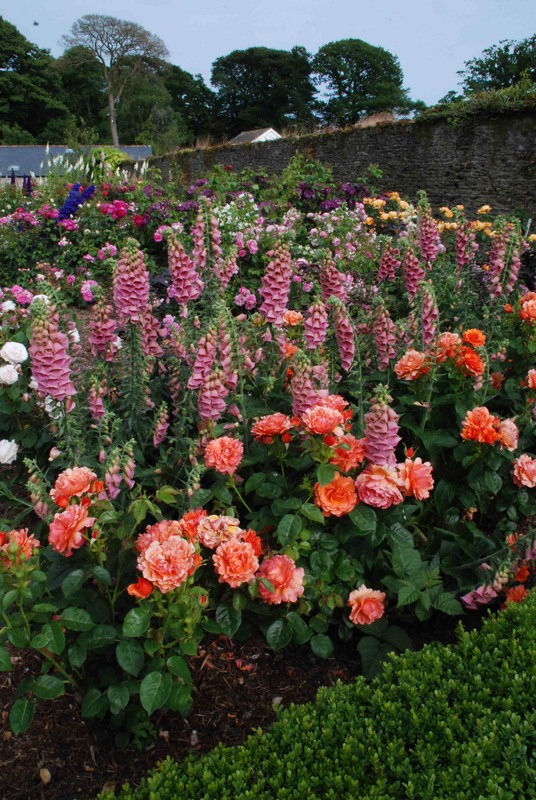 It is not the roses that I can’t tell apart but their names, and the fact that they are both Harkness roses just adds to the problem! ‘Easy Does It’ (HARpageant) is a cluster-flowered (floribunda) rose that was introduced in 2010 and is very special. It has unique looks that mean that the rose itself can’t be confused with any other (even if the name can). What makes it special is the large flowers with frilly petals. The individual petals have a lobed edge so the flower is distinctly frilly when open. The colour is on the strident side and is hard to describe. 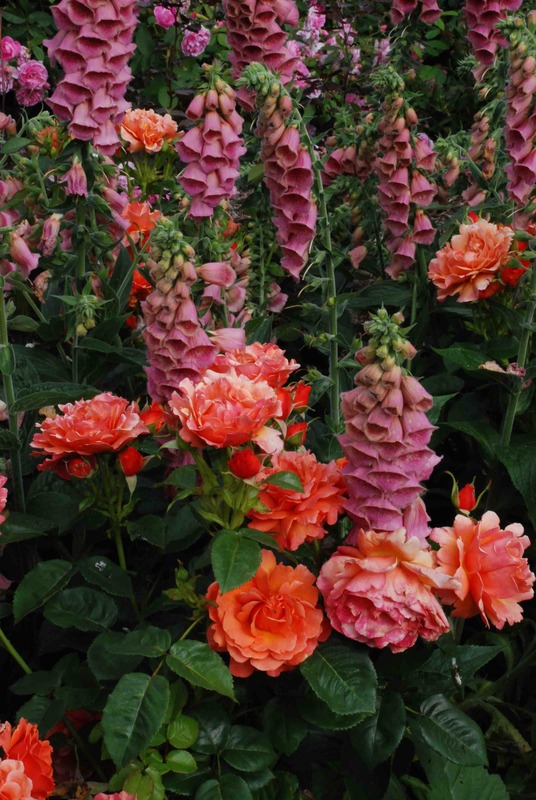 ‘Orange’ is too simple a word to describe the flowers which certainly start deep orange but pass through other shades as they age with touches of apricot, raspberry and pink. They are pretty in bud but are open and ruffled as they mature and they hold their petals well so the flowers fully develop their colour transformation. All this would be fair enough but a rose need to be a good grower as well as pretty and I am pleased to say that this one is resistant to disease and is a good grower. And to complete the picture I can confirm that the flowers are sweetly and strongly scented. It grows to about 1m high and is upright and thorny. In the garden it is planted here with Digitalis x mertonensis this year. I am thinking of dividing some of the orange and red daylilies this autumn and putting these and some red achilleas between them for next year. Although I am growing this in Ireland it has proved popular on the other side of the Atlantic too and was the only AARS winner in 2010. Not one for my garden, as I couldn’t blend it in, but I’m enjoying seeing it there, and imagining the spectacle of it in situ, with your complementary planting. I came across an Achillea for sale recently, and was sorely tempted, I must add, that I imagine could fit in well with your planting suggestions. It was part of the “tuttifrutti” series – “Apricot delight” I think it was called. If only I had more space!